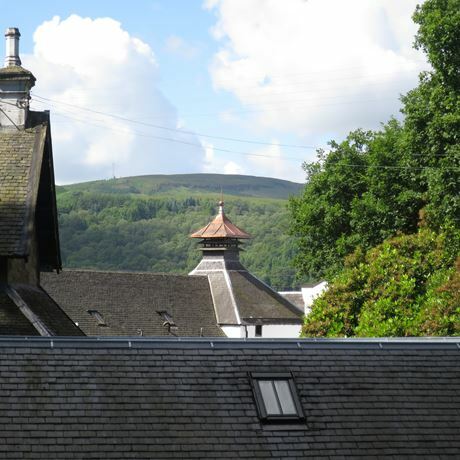 A small farm-style distillery located under Dumgoyne, the most westerly extrusion of the Campsie Fells, Glengoyne has long punched well above its weight. It runs a combination of long (and very long) fermentations, while distillation in its three stills (one wash, two spirit) is extremely slow. 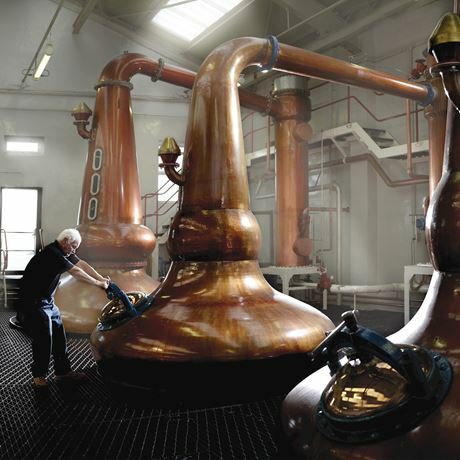 All of the stills have boil bulbs, which increases the amount of copper availability, while the gentle heating of the wash and spirit also helps to maximise the amount of time the alcohol vapour can play with the copper. This maximising of reflux produces a gentle, sweet, and fruity new make. There is however sufficient weight in the spirit to be able to balance with maturation in ex-Sherry butts – a signature of Edrington’s distilleries – which has been retained by Ian MacLeod. 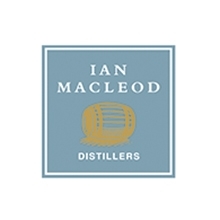 A distillery has stood on this site since 1833, when the Edmonstone family (the main landowner of the area) began production, passing control to the MacLelland family in the 1850s who, in turn, sold it to the Glasgow-based blender Lang Bros in 1876. 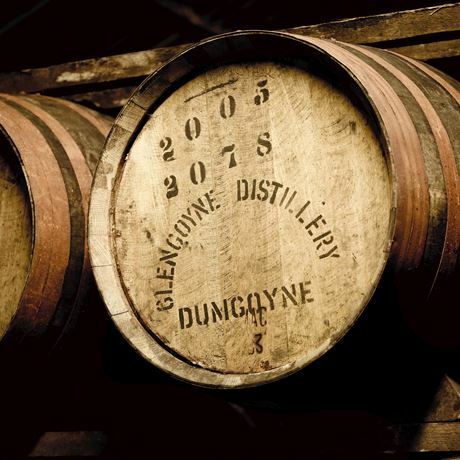 It was they who changed the distillery’s original name, Burnfoot, to Glen Guin which was anglicised to Glengoyne in 1905. It played a vital role within Lang Brothers' blends [the best known being Supreme] and those of Robertson & Baxter (now Edrington). The latter firm bought Lang Brothers. in 1965. 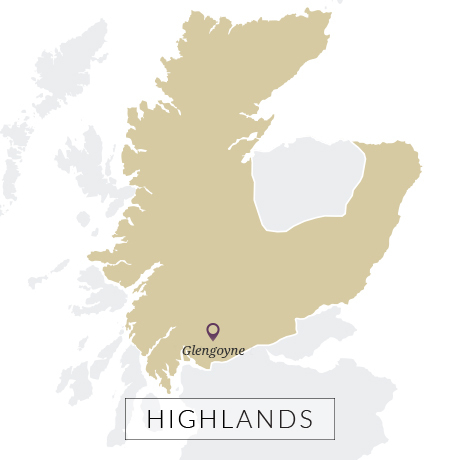 Single malt bottlings began in the early 1990s, when Glengoyne was sold as 'the unpeated malt', while much was also made of the fact that, geographically, the distillery is in the Highlands while its warehouses, directly across the road, are in the Lowlands. Edrington considered it surplus to its requirements in 2003, selling it to Ian MacLeod for £7.2m. Its new owner has subsequently (and successfully) focused on developing the brand as a single malt and the distillery as a multifunctional tourist destination. It now gets in excess of 50,000 visitors a year.